What is a mock interview you ask? As you may (or may not know), mock interviews are off and running! Please come by the Student Life Centre if you would like more information or to make an appointment! What is a mock interview you might ask?? Well, a mock interview is simply a practice interview. A mock interview will give you a chance to practice for an actual interview you may have coming up and receive feedback about your interview performance. A mock interview can help you develop strategies to answer interview questions, improve your communication skills and most importantly help reduce stress/nerves you may be experiencing regarding your upcoming interview. What type of mock interview will I receive?? Your mock interview will be a panel interview consisting of 2 friendly career peers. The format of the interview will be: 30 minutes of questions, 10 minutes of self reflection and 10 minutes of feedback from the interviewers. You will provide us with your resume and a specific job posting/description of a job you wish/are applying for. 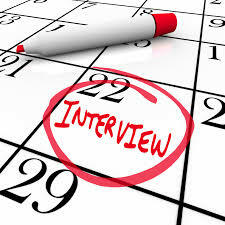 This helps us tailor the interview to meet your specific needs! How to prepare for your mock interview?? To get the most out of your experience we suggest you follow basic interview rules such as arrive 10 mins early, dress professional, bring a copy of your resume/any possible references, shake hands with the interviewer etc. This allows you to get into the habit of strong interview tactics! I hope these tips can help you feel better about your mock interview process with the Student Life Centre. I hope you all take advantage of this amazing learning tool! I look forward to meeting you and we will see you on the other side of the table!